Quasco's innovative machinery represents the evolution of technology in the world of rubblization. This high-tech machine has been engineered and assembled in the USA with components from global leaders like Caterpillar, Danfoss and more. Quasco works in conjunction with standard road re-surfacing equipment. Once a surface has been rubblized, it can be rolled with a standard vibratory roller to compact the new interlock base material. 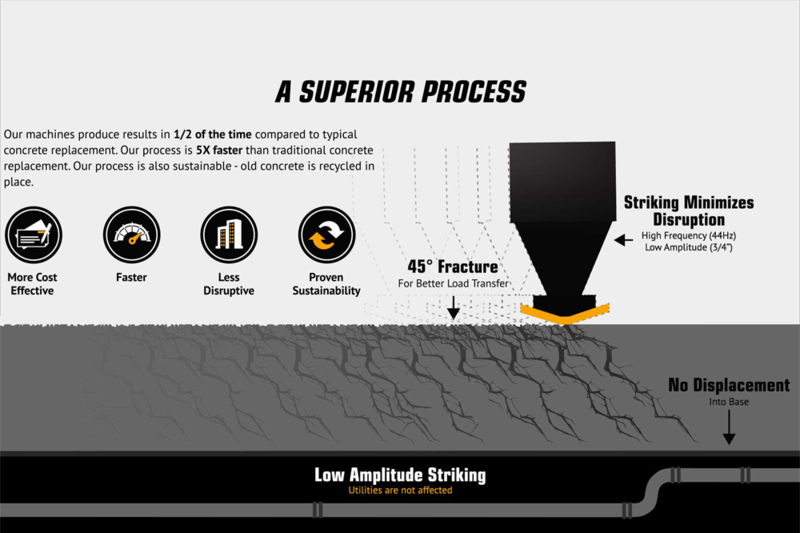 The hot mix asphalt is then applied without requiring a bonding agent. 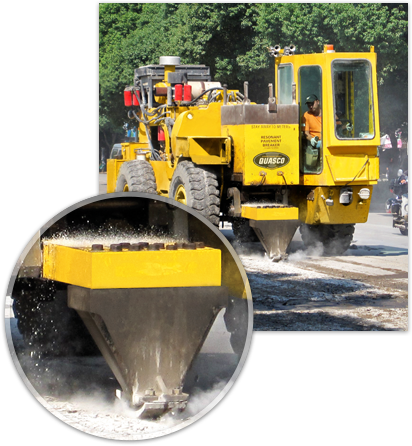 The process is so quick that one machine can rehabilitate 1KM of a 2 lane road per day.